Kosteniuk Dmitry (80th AirAssault Brigade) a senior sergeant. He was killed during a shelling of Ukrainian outpost near Shyrokine, Donetsk Region. n/a (54th Mechanized Brigade) a soldier. He was killed by his own grenade while he was on the way to unit’s barracks. 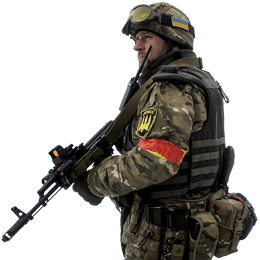 Kravchenko Dmitry (93rd Mechanized Brigade) a junior sergeant. He died due to cardiac arrest. On April 1, the Royal Canadian Navy frigate HMCS Toronto and the Spanish Navy frigate Santa Maria arrived on a friendly visit to the port of Odesa. Два мощных боевых корабля НАТО вошли в Одессу утром 1 апреля – канадский фрегат “Торонто” и испанский фрегат “Санта-Мария”. 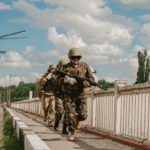 Ukrainian Army reportedly advanced near Horlivka and de-facto entered its outskirts on March 31. Without a fight, they were able to advance and dig new positions, just 350 meters away from the enemy. The exact place is unknown at this moment.